Barter Books : Bell, J H B [ed.] 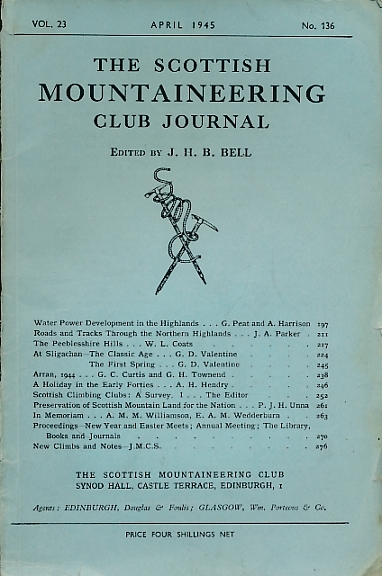 : The Scottish Mountaineering Club Journal. No. 137. 1946. Edinburgh: The Scottish Mountaineering Club. 220 x 140 mm (9 x 6 inches) - 84pp. G: in Good condition without dust jacket as issued. Cover rubbed with some spine damage.